Although couched in politically correct accounting-speak, accounting and consulting major, Grant Thornton (GT), has systematically exposed what is clearly a massive fraud, mismanagement of funds, capricious actions and total disregard for regulators and regulation by the previous top management of Infrastructure Leasing & Financial Services (IL&FS). And, yet, this is just an interim report on the financial irregularities inside just one company—IL&FS Financial Services Ltd (IFIN) – out of the 348 companies of this complex infrastructure and finance conglomerate. Significantly, GT has clearly narrowed down the responsibility or culpability for the scam to just four people—the committee of directors (CoD) comprising—founder and former chairman Ravi Parthasarathy, former vice-chairman Hari Shankaran, director Arun Saha and IFIN’s former managing director, Ramesh C Bawa. With this report in hand, one wonders why multiple agencies are conducting raids and investigations, instead of making a cohesive effort to zero in on the perpetrators. Also, there has to be some speed and urgency in selling the more viable projects set up in partnership with various states. Things are moving too slowly for comfort. Nearly six months after the IL&FS holding company’s board was sacked, we don't even have the contours of a resolution plan. All we have, so far, is that 60 companies have been classified into categories of red (38), green (22) and amber (10) based on the extent of impairment of assets and chances of revival. Another 100 are being assessed for viability, leaving 175-odd companies in limbo. Investors and creditors (including pensions funds, mutual funds and banks), who have lent over Rs94,000 crore to the group, are turning very anxious in the absence of a clear direction, or will, by the finance ministry in handling this mess at multiple levels. The new IL&FS board, headed by Uday Kotak, has now issued show-cause notices to 14 directors of IFIN, based on the GT investigation. The board comprised former nationalised bank chairpersons Surinder Singh Kohli, Ms Subbalakshmi Panse and others including Manu Kochhar, Neeru Saggi, Renu Challu, Uday Ved, Shazad Dalal, Milind Patel, Vibhav Kapoor and Rajesh Kotian, other than the four CoD members. Many of these were key former employees and persons deeply involved in decisions. But when the buck clearly stops at the four in the CoD, shouldn’t there be a greater focus on them? What is worrying investors is that general elections are bound to be announced in the next few days when the Code of Conduct will become operational and the entire government usually goes into a limbo. Unfortunately, we seem to have learnt nothing since the 1992 securities scam, and all others in between, about handling complex financial scandals by separating resolution from criminal investigation and action. Coming back to the GT report, it has aptly named its investigation ‘Project Icarus’. Icarus and hubris are words that are often used in the context of large hedge funds and trading operations that blow up by ‘flying too close to the sun’ with wings of wax (as the Greek character Icarus did). IL&FS was, indeed, founded and led by one man, Ravi Parthasarathy along with his chosen cabal, for 30 years. But he and his company was allowed to grow unchecked into a massive 348 entity empire masquerading as the favourite partner of state and Central governments because regulators, marquee shareholders (banks and institutions) and the board of directors failed in their fiduciary obligation to regulate and supervise his actions. Is it any wonder that hubris set in and it flew too close to the sun? The 166-page interim report of Project Icarus exposes 10 different kinds of fraud, which are succinctly tabulated with names, numbers and detailed proof, provided in the annexures. But this is just the tip of the iceberg. We need the serious frauds investigation office (SFIO) and the enforcement directorate (ED)—as a team—to go into details of each case of favoured treatment or egregious violation to ask some simple questions: What was the pressure, illegal gratification or quid pro quo that prompted the CoD of four to ignore rules and internal red flags and lend? Or was IL&FS just a large ponzi scheme that carried on for decades because of the support of bureaucrats and multiple state governments? According to GT, the 10 types of possible fraud identified by it in IFIN alone involves a massive Rs13,299 crore. The report also points out that IL&FS had adopted a ‘unified approval framework’ to facilitate intra-group synergy and to provide IL&FS group visibility for all transactions. This further pinpoints responsibility, primarily, on the CoD of four persons. 1. Tenure Mis-match: Over Rs541 crore borrowed for short-term purposes were used for long-term needs by eight entities—Indus Equicap Consultancy, Nysa Marine Services, Essar Shipping Ltd, Ascent Hotels, Gujarat Integrated Maritime Complex, SKIL Infrastructure, Gujarat-Dwarka Port west, Sabarmati Capital One. Amount involved: Rs541 crore. 2. 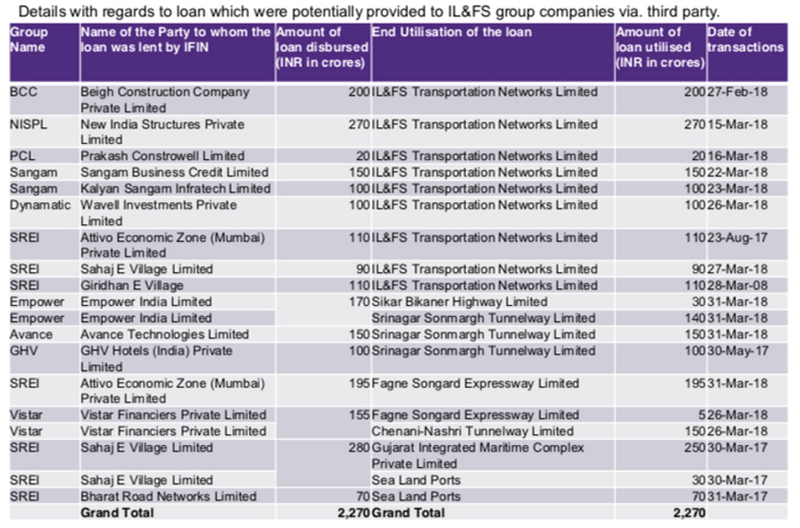 Round-tripping of Loans: Money lent to certain companies by IFIN was to be round-tripped back to IL&FS group companies, mainly ITNL (IL&FS Transportation Networks Limited), the large listed entity. Amount involved was Rs2,270 crore. GT says that minutes of the board meeting on 11 September 2018 indicate that the management cabal or CoD was aware of this. In many cases, the loans were disbursed to third parties who transferred them back to IL&FS group companies on the very same day. Investigation agencies need to examine and tell us what was the incentive/ quid pro quo to the third parties for being part of this round-tripping operation. 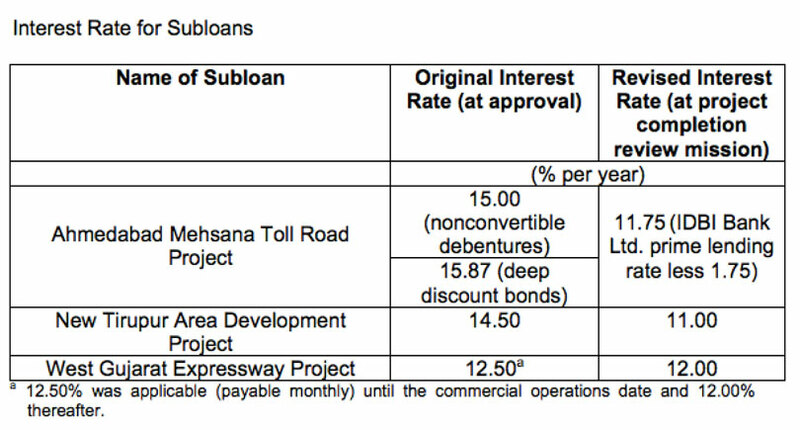 The loans were received by the following IL&FS group entities: ITNL (Rs1,150 crore), Srinagar Sonmargh Tunnelway (Rs390crore), Gujarat Integrated Maritime Complex (Rs250 crore), Fagne Songard Expressway (Rs200 crore), Chenani-Nashri Tunnelway (Rs150 crore), Sea Land Ports (Rs100 crore), Sikar Bikaner Highway (Rs30 crore). 3. 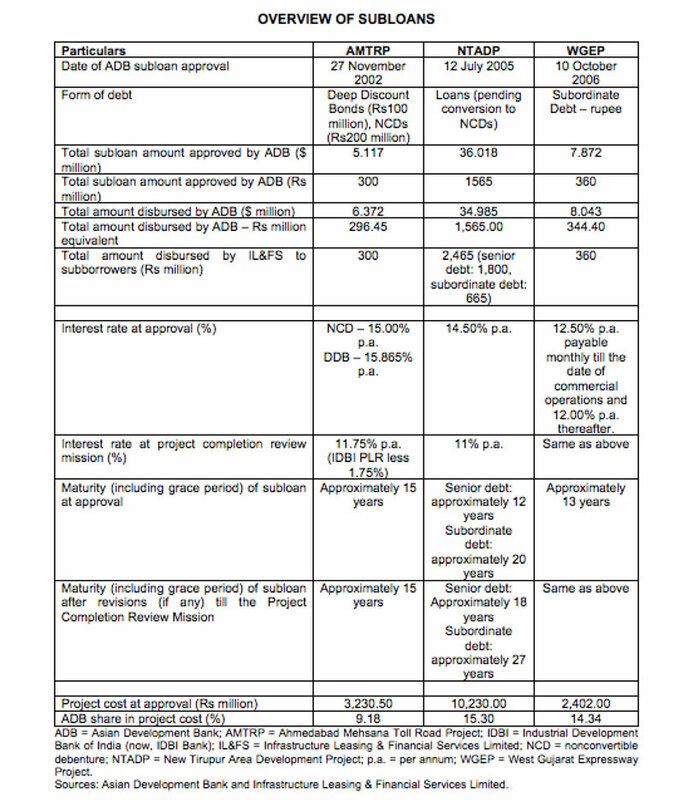 Fudging Credit Approval Memorandum (CAM): In five cases, amounting to Rs411 crore, GT found that a system-based CAM, the base document for sanctioning loans, was different from the details mentioned in the manual CAM. What is worse, personal guarantees were accepted as collateral to fudge facts, without ascertaining whether they had the net worth to provide such a guarantee or obtaining any documents to back the guarantee. 4. Lending at a Loss: GT has identified 18 instances, adding up to a massive Rs2,400 crore, where the management cabal approved loans to specific companies, at very low spreads of 2% to 3% (average cost of borrowing minus lending rate) or a negative spread – which means a loss to IL&FS. As opposed to this, the average spread for IFIN loans was 7% to 9%. Many of the companies that got this largesse were already defaulters and, in seven cases, the loans were written off, or extended to companies connected to such defaulters. 5. Loans to Defaulters: GT found that in 16 cases, amounting to Rs1,922 crore, the management cabal approved loans even after their internal risk assessment team had raised red flags about such loans. It may be recalled that a whistleblower had desperately written to the Reserve Bank of India (RBI) and the IL&FS board drawing attention to such dubious lending, but was ignored. 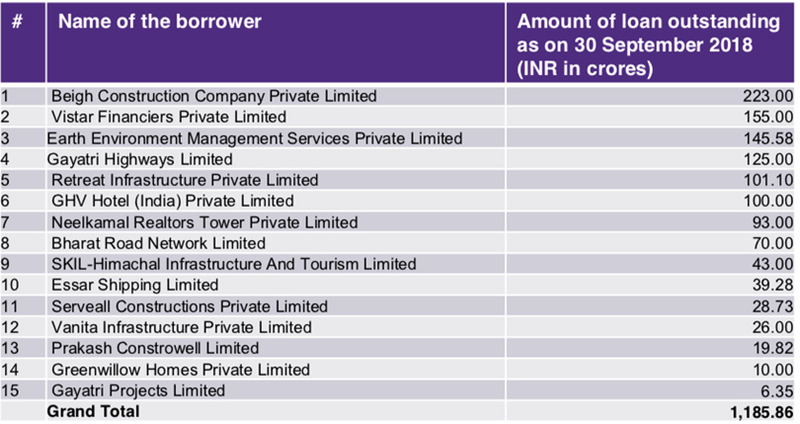 The names in this list scream for a detailed investigation into why the IL&FS’s top management wanted to oblige these borrowers at the cost of its own finances. 6. No Charge against Collateral: In 15 cases, totalling Rs1,186 crore, IFIN hadn’t bothered to create a valid charge on the assets that were taken as a collateral against loans provided. Such negligence is not possible unless the top management instructed officials not to bother with creating a charge. Again, investigation agencies have to fix responsibility. 7. Insufficient Collateral: In 14 instances, totalling Rs1,819 crore, the amount of charge created against the borrowings is not adequate to cover outstanding loans as on 30 September 2018. 8. Ever-greening Defaulter Accounts: In eight cases, loans totalling Rs145 crore were used to repay previous loans, probably to avoid classifying them as defaulters and making provisions. In most cases, the payments were received on the same day that the loans were given. 9. 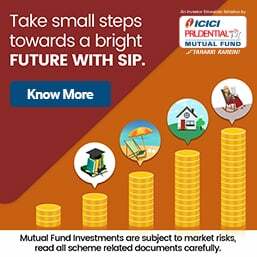 Round-tripping for IFIN: In 29 cases, adding up to Rs2,502 crore, some corporate groups obtained loans and repaid approximately the same amount in the very same year to IFIN – except that the loan was taken from one company and the repayment made by another in the same group. 10. Funding Promoters/Directors: This is a serious one – in six cases, totalling Rs94 crore, a part of the loans disbursed to companies was transferred to specific directors. In one case, the promoter was a director in an IL&FS company. One of these loans was to Bay Capital, whose promoter, Siddharth Dinesh Mehta, is a director of IL&FS Energy Development Company Limited and stinks of conflict of interest, in addition to being irregular. Finally, let us not forget that Deloitte Haskins & Sells LLP was appointed in 2008 and remained the auditor until it completed 10 years in 2018. The audit report had absolutely no adverse findings even in 2017-18. The Institute of Chartered Accountants of India is investigating the role of statutory auditors in multiple IL&FS group entities. But, if such large-scale fudging has been found by GT in a quick, limited audit, then this is a fit case where at least one audit firms needs to be given the same treatment that the US gave to Arthur Anderson, the auditor of Enron Plc which flamed out after large-scale fudging of books. It is eminently clear that frauds on such a massive scale would not have happened without the active collusion of ILFS's auditors. Credit rating agencies and auditors ought to be imposed with exemplary punishment including but not limited to cancellation of their licenses as their lackadaisical approach to their key functions have placed the savings of millions in jeopardy. 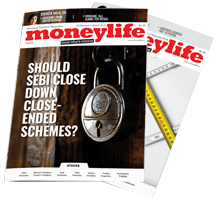 MoneyLife appears to be the only publication in the country that is persistent in its coverage of the scandal. The story appears to have lost its steam in most of the financial and mainstream media. A scandal so massive may soon recede from public memory and the key perpetrators would go scot free if such blatant inaction for corporate misdemeanours continue. Keep up the good work, Sucheta. Though extremely shocking, it doesn't surprise since we are now used to IL&FS's extraordinary criminality. This article raises a deadly point, of meandering probe with the result that the criminals are just chilling! Is the IAS lobby bent upon adopting tokenism and let the criminals slip away? The criminals must be put behind bar immediately. This is stunning news. These 4 individuals are primarily responsible but the others too are responsible in various degrees. Why are the 4 not in prison? The govt is quick, almost indecently hasty, to label ordinary citizens as "Maoist", "Danger to security of the country", etc. Are these massive financial scams not a danger to India? These scammers will be horrified if they are treated as ordinary prisoners, no VIP treatment. Let them sit in prison until the financial cases are adjudicated. The main reason they are not in prison is because they are indecently wealthy and as all such people, have contacts in high places in political ranks and as well as bureaucracy. Modi has famously said "Na Khaoonga, Na khane doonga". This is the test of his credibility; empty catchy slogan or real resolve. Even as provident fund (PF) and pension fund trusts, which have invested in the bonds issued by debt-ridden Infrastructure Leasing and Financial Services Ltd (IL&FS), are fearing big losses, the finance ministry had said that such superannuated bonds do not carry any government guarantee and are exposed to market risks. Thousands of crores of rupees of over 1.5 million employees of both public and private sector companies are exposed to IL&FS bonds through more than 50 funds. These include PF trusts of state electricity boards, public sector units (PSUs) and banks. Responding to queries from IANS, the finance ministry says, "Since these are investments in bonds, the government does not ensure any guarantee on them as such and if these are invested in stock markets, they carry the market risks as applicable. It is between the bond issuer and bond holders..."
As many as 1.5 million salaried employees across different sectors are caught in this ticking time bomb and the number is only likely to go up as the true extent of the malaise is known and understood. Till September last year, Indian rating agencies, not realising that IL&FS was set to implode, were giving Triple A rating to the bonds. With elections around the corner, this new exposé will further polarise the debate. After all, it is salaried employees who are now staking claim to their hard-earned monies. Since these are tradeable instruments, the exact quantum is not known, but investment bankers estimate it to be in thousands of crores since the infrastructure company's bonds—which were 'AAA' rated - were preferred by retirement funds that have a low-risk appetite but still have to get assured returns even when interest rates are low. The provident and pension fund trusts have filed intervening applications in the National Company Law Appellate Tribunal (NCLAT) stating that they stand to lose all the money since the bonds are under unsecured debt. 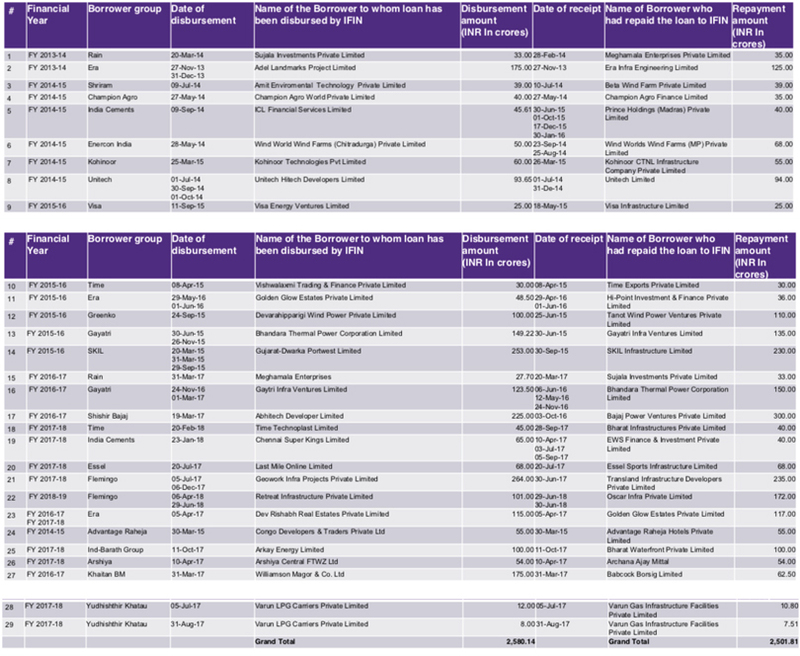 The worries of pension and provident fund trusts come from the classification of IL&FS profiling its companies about which can meet the dues obligations. Many important trust managing funds of PSUs like Metals and Minerals Trading Corp of India (MMTC), Indian Oil Corp Ltd (IOC), Housing and Urban Development Corp Ltd (HUDCO), State Bank of India (SBI) and IDBI are among those filing petitions. From private sector, Hindustan Unilever Ltd (HUL) and Asian Paints Ltd are among the petitioners. IL&FS has informed the NCLT that of the 302 entities in the group, 169 are Indian companies, out of which only 22 are emerging as those which can meet all obligations (green), while 10 firms can pay to only secured creditors (Amber). There are 38 companies of IL&FS (red) which cannot meet any obligations of payment, and 120 entities are still being assessed. These PF and provident funds trusts are worried that if payment is limited to secured creditors, then only financial creditors like banks will receive the dues while unsecured bond-holders will not get any payments. The employee provident funds (EPFs) of various companies and other entities had invested in IL&FS bonds that are unsecured and bondholders may or may not get paid in the ongoing crisis at IL&FS. In any case, they are seen pretty much last on the priority list. Over 75 companies and their PFs have filed an intervening petition before the appellate court to seek directions and instructions on repayment to unsecured creditors. IL&FS bonds attracted investments by PF trusts SBI and Life Insurance Corp of India (LIC), had stake in the group, which gave its bonds the comfort factor. Last week, a parliamentary committee recommended an inquiry into the role played by LIC and credit rating agencies (CRAs) in landing IL&FS into a debt trap. An investigation into the role played by LIC in the IL&FS mess becomes imminent as it is the largest shareholder in the conglomerate. The role of CRAs has come under the scanner as they failed to adequately vet IL&FS financials that led them to over-rate IL&FS entities just before signs of stress started appearing. Calling for urgent measures to revive IL&FS while noting that it is the "only major institution funding the infrastructure projects in the country", the Parliamentary Standing Committee on Finance said the governance failures and indecision on the part of the IL&FS's board should also be thoroughly probed. people as voters need to apply common sense; never be carried away by these political parties when they vote in 2019 elections; many lost heavily their pension and pf funds. IS ANY OTHER FIELD IS LEFT FOR DWINDLING? Lets call a conference of top babus , PSU bank honchos ( Retd or otherwise). They will give a lot of ideas about stealing money. NETAS, of course, loot brazenly. 1. I heard the ILFS top guy is hiding in USA now. Why not extradite him? 2. Rating agencies India or abroad are clowns. They have never given even a small clue to identify "bubble" companies. They just use the data provided by the management to arrive at the rating. After the company collapses they do downgrade it. Whats the use of these Rating agencies? Why not eliminate them totally? There was a look out. How did he go? Alarming!! Especially as these investments were classified by the Rating Agencies as of highest quality continuously. We can't blame the investors alone. Now few question remains. Aren't these agencies also responsible? Who will take action on the Rating Agencies? How do trust them going forward? As Mr Surjit Som mentioned in his comment; all the directors of IL&FS along with the Rating Agencies needs to be prosecuted. PF, Pension Funds are staring at huge losses. The headline says it all. These are not private entities. This scam happened while some of our senior most IAS' officers(Retd or otherwise), PSU Bank honchos were sitting on the Boards of IL&FS. It will be difficult for the government to let these criminals go scot-free. PE, Pension Funds are involved !!!!! Private EPFs are required to pay at minimum the interest declared by EPFO - any shortfall is to be made good by the company. Employees thus should hence not lose their hard earned savings.